Have you experienced Devil Campers? Help others learn about this company by sharing your first-hand information with other road-trippers. 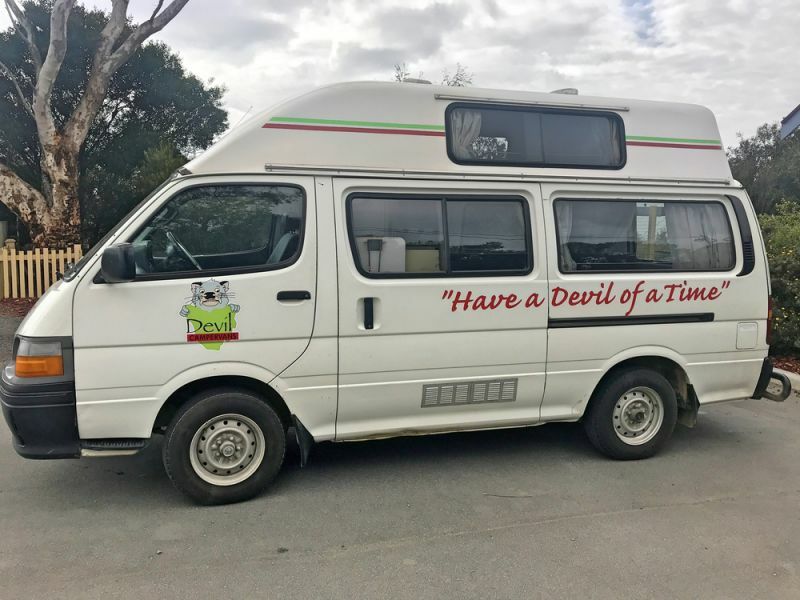 Specializing in cheap campervan hire with a limited rental fleet, Devil Campers is the Tazmanian rental constituent of one of Australia's large rental vehicle networks. 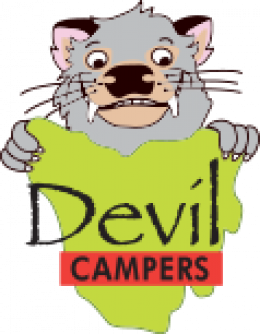 Devil Campers is part of a larger rental network in Australia, including the likes of Captain Billy's 4WD Hire and Tasmania Campers in Australia, as well as Tui Campers, Tui Sleeper Vans, Freedom Campers, Budget Campers, and Economy Rental Cars in New Zealand. 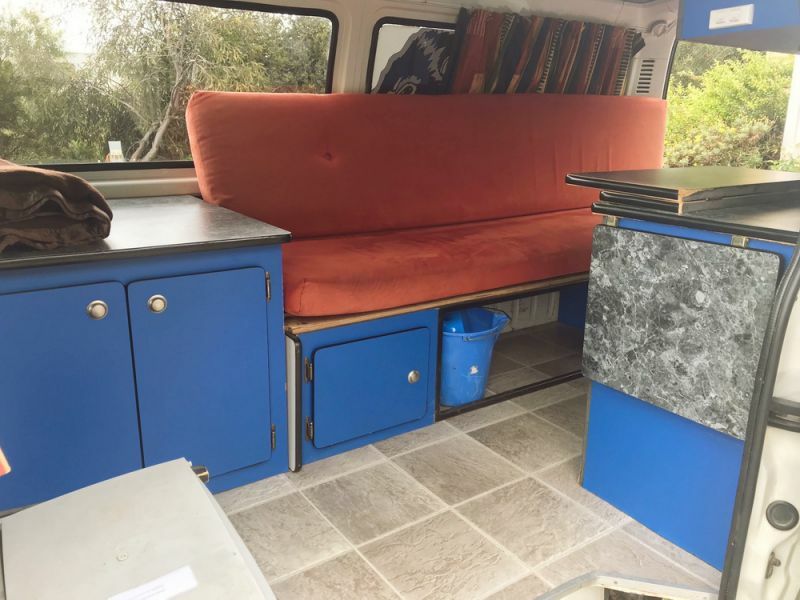 Based in Tasmania, this campervan rental company provides depot in Hobart, with pick up/drop off fees. Their charges, as well as conditions, may vary from time to time, though the rates are still mainly on the budget scale. 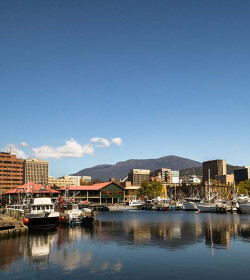 Though they offer one-way rentals, their vehicles are restricted within Tasmania only. Running a limited fleet of basic units, Devil Campers provides only three rental options, all Toyota models. 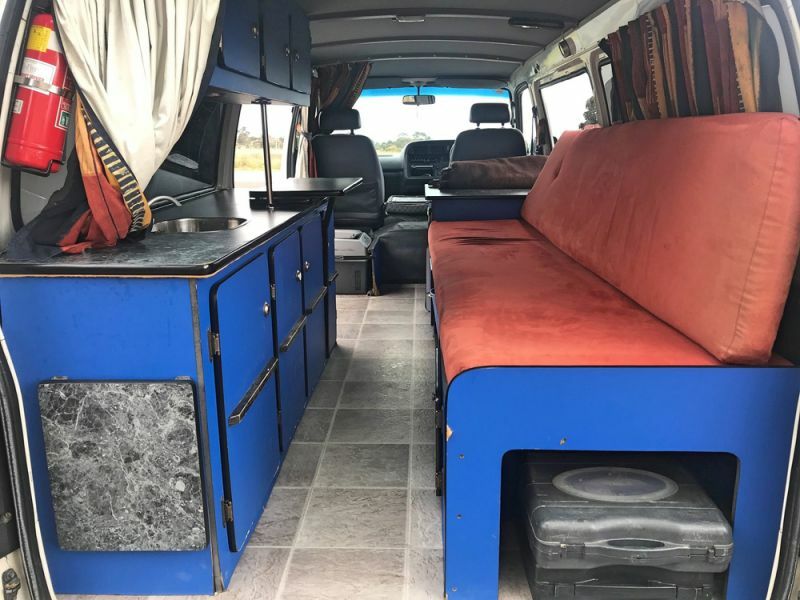 These funky-styled sleepervans and campervans are preferable for budget-conscious couples or small families who love some loud exteriors and cozy interior. Because of the cheaper rate, you cannot expect for an overly luxurious rental hire. 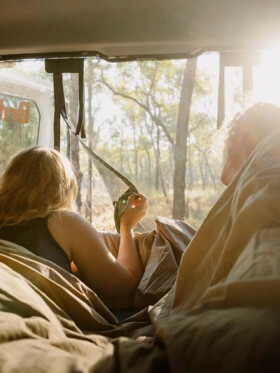 Still, you will be greeted with simple yet furnished vehicles equipped with dining table, cutlery, crockery, sound system, camping grounds, and maps. Camping chairs, tables, and awning are not for free. At the start of your hire, the rented vehicle comes with a full tank of fuel and should be returned with the same upon return. 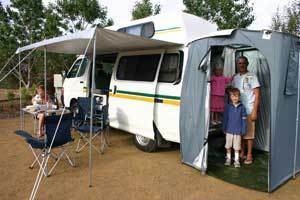 The 2002 Toyota Hiace is a 2 berth sleepervan with limited headroom. This unit may be small but it already provides a mini kitchen with cooking essentials, sink, cabinets, onboard water, and a cooler box. Adjacent to the cooking area is a cozy daytime lounge that becomes a double bed for two. There is ample storage for your equipment underneath the couch. The kitchen countertop is extendable so that you can easily transverse from cooking to eating. A more spacious unit that can comfortably cater to couples, the Hitop model highlights its roomier headroom and cozier interior. The overhead area provides extra light and storage for your stuff. At the back of the driver's seat is the kitchen sink with cabinet. On both sides are two single couches that convert into a large double bed. Also a Toyota Hiace, the Devil 3+1 Finder is the only option for small families up to 4. This automatic transmission campervan is suitable for two adults and two small children. It comes with two rear forward facing seats that feature diagonal seatbelts and option for child seat restraints. The well-thought-out layout provides a more versatile and comfortable interior. Sleeping options inside come from the convertible living quarters and the double top bunk. Renting a unit from Devil Campers includes a standard liability amounting to $2,000 or $2,400 for drivers under 25 years.The liability can be limited to $0 if you pay an additional of $20 per day ($24 per day for drivers under 25), by which a credit card imprint will only be required. If you opted not to avail of the insurance reduction option, the bond will be collected during the rental signing via credit card. 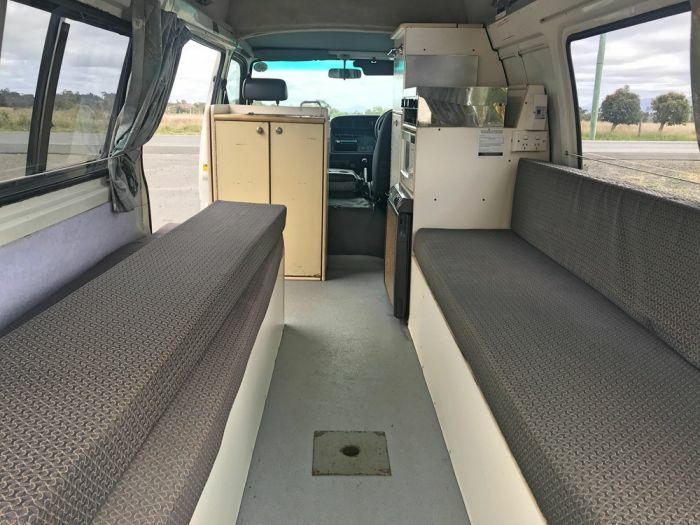 Whilst Devil Campers isn't really that popular in the rental industry in Tasmania, they have continued to be a cheaper alternative for couples who want to rent out a basic campervan with basic amenities. The rental rate is one of the competitive aspects of this budget-based company that is part of a large rental network in Australia. But if you're looking for much reliable rental companies coupled with a more positive reputation, there are several options to consider. Have you experienced Devil Campers?